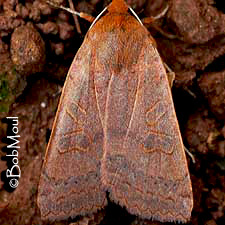 Identification: Forewing bright chestnut; median area sometimes slightly paler. Am. and pm. lines purple, scalloped; pm. line scallops darkest, at sharp points. Purple shading over am. and pm. lines and in median and st. areas. 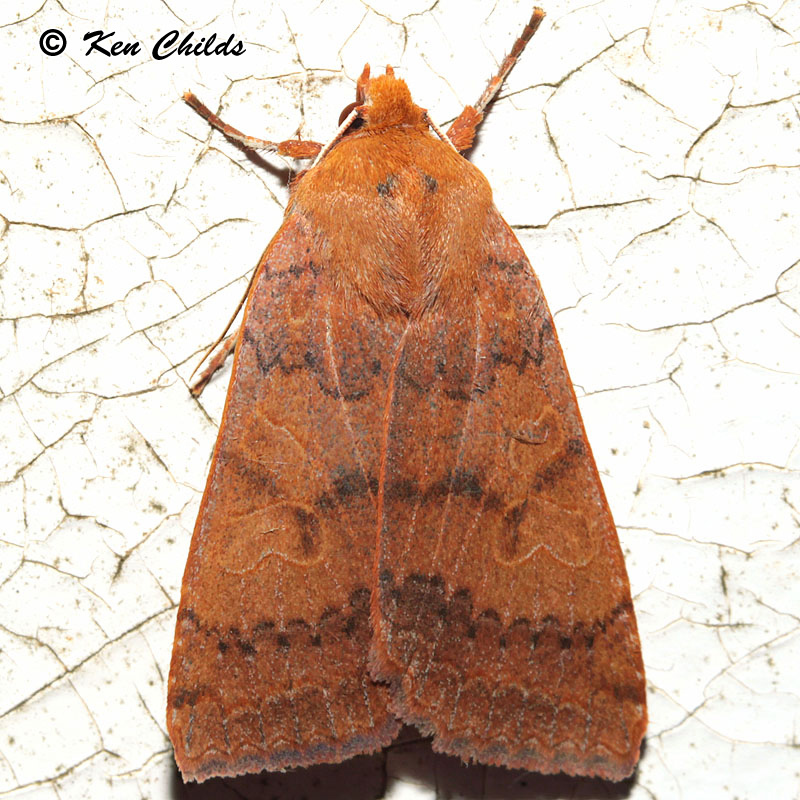 Spots faint, darker brown; purple in lower end of reniform spot blends into broad median shade line. Hindwing dark grayish brown with chestnut fringe. Life History: Larva eat unopened buds of blueberries. They can also be reared on crabapples, then oaks (catkins preferred). Flight: Late September - early December. Range: New Hampshire to Florida, west to eastern Kentucky and Mississippi.